The revolutionary giant Malcolm X once said, “I don't believe in any form of unjustified extremism! But when a man is exercising extremism in defense of liberty for human beings it’s no vice, and when one is moderate in the pursuit of justice for human beings, I say he is a sinner.” Ameen. If this is what Zionists and their rabbinical masters define as “anti-Semitism,” then so be it. We are fighting a war, an information war, and it is time that we turn the weapons of our enemies against them, thus disarming them and their ridiculous, pernicious propaganda efforts permanently. 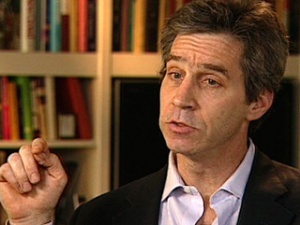 Because of his belief in the “core Jewish value” of Jewish exceptionalism, it should come as no surprise that Weiss also admits that the desire to see a fully-liberated Palestine in which Palestinians are restored as the Holy Land’s rightful administrators isn’t the driving force of his activism; what drives him is something far more elitist and tribal, “I believe all people act out of self-interest. And Jews who define themselves at some level as Jews -- like myself for instance -- are concerned with a Jewish self-interest. A theory of political life based on altruism or concern for victims purely is doomed to fail.” He also says that, “Jews is: a sense of difference, yes, inevitably of elite identity, that's part of Jewish history and one I struggle with (83).” Weiss certainly deserves credit for being so candid, when so many “Jewish Solidarity networkers” are quite deceptive, but candidness doesn’t equate with solidarity and this tribalism has manifested itself as Zionism; the fact that he proclaims himself to be “anti-Zionist” is irrelevant. Weiss also sees value in the insane idea of “getting Zionists on board with boycotting Israel” and stunningly believes that the supremacist, bloodthirsty warmongers of AIPAC are ignorant of what they’re doing, “They are working for people they don't know on the other side of the world... they are pouring out energy and money for people they don't know. And I believe that energy can be shifted (85).” He believes that this dastardly Jewish supremacist enclave of sanguinary war-worshipers are nothing but agents of naïveté who can be “shifted,” presumably into “progressives.” Weiss can speak for himself, or rather, for “the tribe;” AIPAC agents don’t belong anywhere other than a jail cell for the havoc that they have wreaked on the peoples of the Islamic world in the name of Zionism. Wow, absolutely brilliant! 110% agree with you on all points made and as usual a learning experience. Have you ever thought of teaching history? I will share these with everyone I can, take good care. There is no reason to reject (or accept) the anti-semitism charge, that's what these Yids want. Either way it works for them. They attached it to themselves a century ago as a PSYOP. It's how they make people connect them to Hebrew, which they are not. 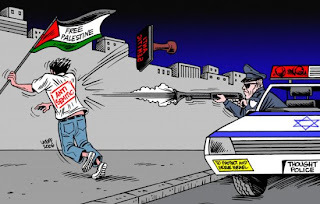 That's how they connect themselves (in people's minds) to the land they stole from the real Semites! It is a misnomer for these Yiddish Jews and should be pointed out as such, as Helen Thomas did. You rock! Brilliant, well said, and damn straight. Thank you. "It isn’t coincidental that like his fellow “progressive” Philip Weiss, Amsel has also cleansed sister Nahida from his comment boards"
Interesting, someone says that Mondoweiss recently banned talking about the Zionist/Nazi "Transfer Agreement", calling it denial. I wouldn't know personally since I was banned from there over a year ago. 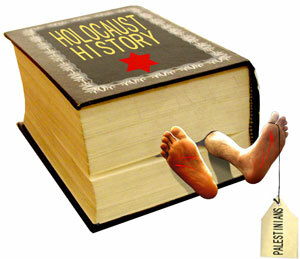 Footnote: The REAL HOLOCAUST, in its classic definition, has yet to arrive. (SEE! Ezekiel 22:20). 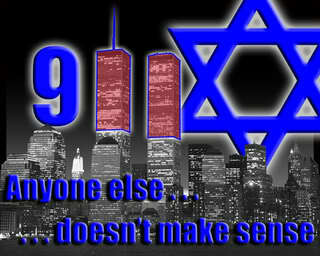 "I know the blasphemy of them who say they are Jews and are not but are the synagogue of Satan" (Revelation 2:9). 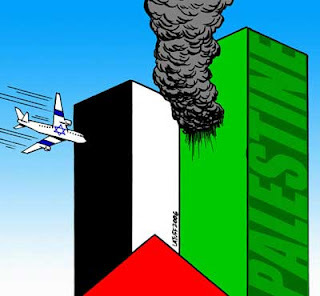 The only question is, whether it will be a Double-Dip HOLOCAUST (like the Zionist-engineered Double-Dip Grand Depression), taking place in Zionist Israel as well as America and the rest of the world. We must assume that Yahweh meant satanic Zionist Israel in Ezekiel 22:20 and that He expects humanity to chip in with the rest of the world (Dip #2). 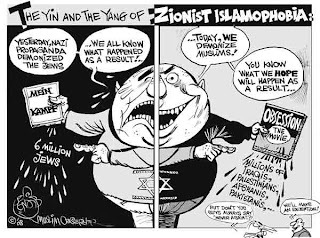 There are about 6,000,000 Zionists in each of those locations, so part of the Zionist obsession with 6,000,000 seems to be justified. Your article is superb. I quit reading Mondoweiss about a year ago, too much of a boy's club, something about it made me queasy. Oh I remember: there was this buffoon, everyone's favoite idiot, and they were celebrating his 1,000 comment. That was it for me - his name was Witty & he was a primo zionist. Steve Amsel seemed to be everywhere for awhile, but anyone who would ban a brilliant writer like Nahida is a moron, just my opinion. That he lives in OPT is unforgivable. Shukran for reading akhi, you always humble me with your kindness :) And yes, actually, I have thought about teaching history! 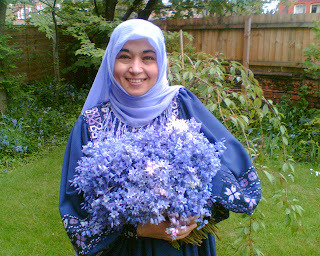 I just may end up doing that after completing a few important projects insha'ALLAH! To everyone else, thank you all for reading and your support, it is deeply and sincerely appreciated. I have seen that this article has been taken OFF from Deliberation.. I certainly have not been kicked out of deLiberation, in fact, I will be publishing a piece there today or tomorrow, as soon as I complete the work, you needn't worry about that. 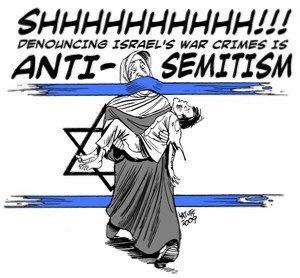 This piece, Part II of "The Accusation of Anti-Semitism," has been removed because it violates the EU's Zionist-enforced, Orwellian "holocaust denial" laws. For the moment at least, there is still something RESEMBLING free speech here in the US, at least on the web; our brothers in Europe however are under lockdown and must be a bit more careful in how they speak and even what they post. I know it is sick and disgusting and while I obviously despise the Zionist micromanagement of their lives, I understand why they had to pull the piece. It can still be read here of course and at other places all across the web. DeLiberation is an excellent news source with information that you will not be able to find anywhere else and that is fearless when it comes to criticizing Jewish supremacism... don't let this stop you from going there. 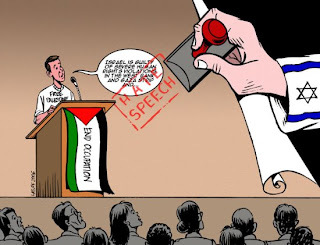 God willing, in a decade or so from now, these laws will be repealed and the international Zionist menace that we're fighting will be on its knees. Until then, we must keep doing what we're doing. Unfortunately, it will not happen in 10 years, or ever. Just read Political Ponerology, by Andrew M. Lobaczewski, and you will clearly understand why. Another Excellent Article! Everytime you take another step right towards the beast. 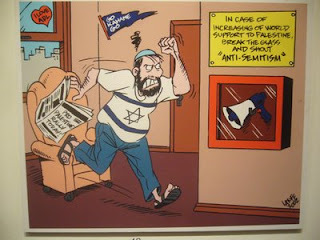 We need an article called "Anti-Semetic Nazi Terrorists"
-The true anti-semites are jews. According to the Jewish encylopedia Arabs are semites and the most semetic of the semtic people. Also according to the Jewish dictionary 90% of Jews are ashkenazi Jews which are of turkish Khazarian origin, thus they are not semetic at all. Factor in the over 80 year campign by jewish owned hollywood to defame the semetic Arab people as a race and the Wars to ethinically cleanse them and this makes Jews the most anti-semetic creatures that ever lived. The Word AshekNAZI is used to describe the majority of Jews today. AshkeNazi is a Persian Farsi word. Ashke means tears and NAZI means a spoiled child like a little prince. 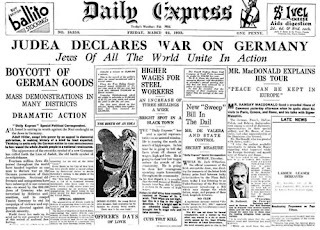 A Jewish writer used it as a slander against the Germans as a perverse joke, this is their specialty after all. The Germans never used the term Nazi. That and considering that the work camps were staffed by the AshkeNAZI Jewish Sauder Commandos and you have the FACT that the true NAZI's are and have always been JEWS. As for the terrorist part. We need this article and we need it by a pro. If we fail to distinguish between Zionist Slimeballs (mostly Israelis) and Jews, many innocent Jews will become victims of the REAL HOLOCAUST! We MUST weed out the chaff from the wheat, or innocent blood will be on our hands. Neturei Karta True Torah Jews rightfully proclaim "Zionism is Nazism". That, however, does not necessarily make them right about anything else! As always, thank you for reading and offering your thoughts. Firstly, it is not only "mostly Israelis" who are Zionists, this is a farcical statement. 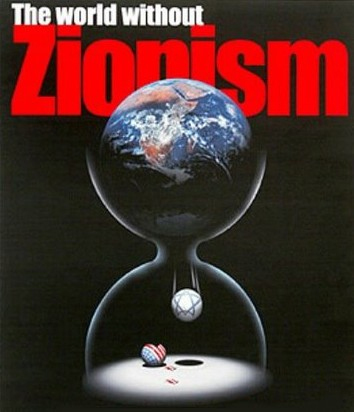 It is most Jews who are Zionists, this is a fact, an unsettling one, but a fact nevertheless; take a gander at the new piece I just completed which speaks of this matter in depth: http://www.maskofzion.com/2012/03/tribal-nexus-zionists-and-anti-zionists.html If we don't speak truth to Jews and attempt to free them from their disgraceful supremacist ways, then whatever befalls them for continuing to support a criminal entity and the networks that protect it is their own fault. So be it. 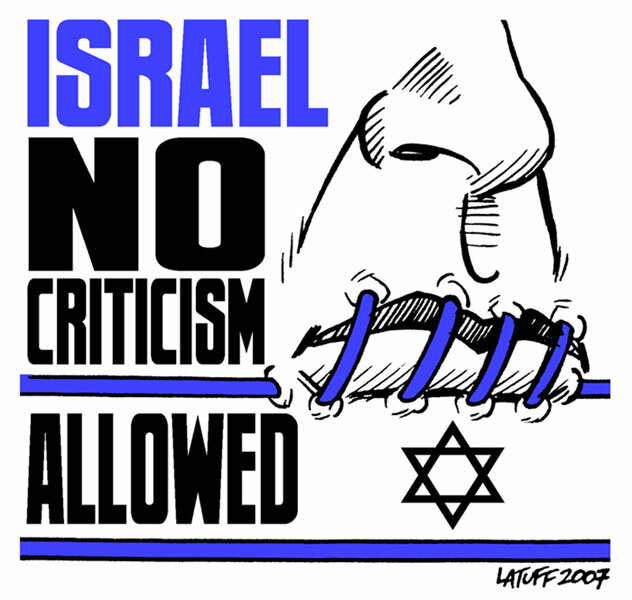 I have zero sympathy for Zionists; zero. 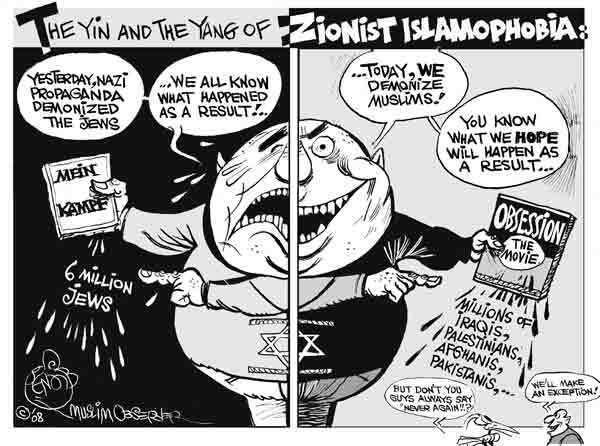 Secondly, I unequivocally reject Neturei Karta's off-the-wall declaration that "Zionism is Nazism." 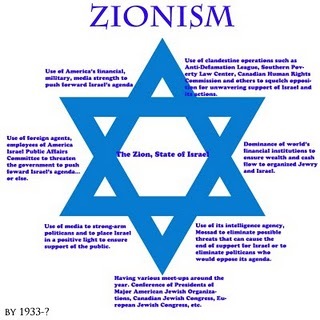 Zionism is Zionism... and National Socialism is National Socialism. 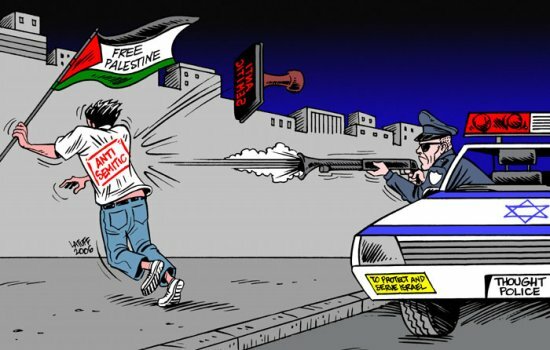 Zionism, an extension of Jewish supremacism, is the most dangerous, most malevolent force on the planet today and was the most dangerous, most malevolent force on the planet yesterday. Never has there been ANYTHING as racist and despicable as Jewish supremacism. It is the primordial racism. National Socialism on the other hand, resisted Zionism and the international Jewish plot against it. This is a matter of history. I know several people who have met with the rabbis of Neturei Karta and they all say that these men are good-natured and righteous people... I don't doubt their IMPRESSIONS but the fact is, these men believe in the Talmud and all of its filth against Messiah Jesus (AS) and therefore, in my mind, they are a fraud. I have not read Mr. Hart's book so therefore, I cannot comment on it, but the "Jews Against Zionism" group still touts the "6 million died" myth and defends the Talmud so they can be placed into the same category of hypocrites as Neturei Karta. The fact is brother, until Jews abandon their supremacism, every shred of it, there will always be conflict between them and the Gentile World.